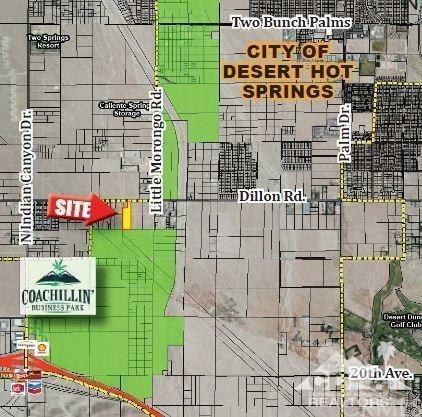 8.5 acres adjacent to the city of Desert Hot Springs Cultivation Zone. Utilities include water and electric on Dillon Road. 153 feet of frontage on Dillon Road. Two Parcels 666-300-006 (8 ac) & 007 (2.5 ac). 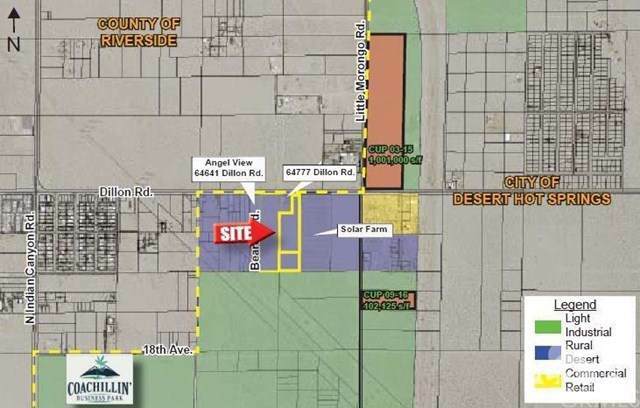 Current Use Comments Vacant Desert Land.